My cousin, Dave, and his fiancee, Stacey, are getting married this October. Her family threw her a surprise bridal shower today. Unfortunately, I was unable to attend in person so I sent my gift to Aunt Rita in New Jersey for special delivery. Here is the card I made for Stacey. She's pretty crafty herself so I do hope she likes it. I saw a similar card on Pinterest and thought it would be perfect for a wedding or bridal shower. It's a little hard to see the pearls... for tuxedo buttons on the "groom" and a necklace on the "bride". I used silver shimmery paper for the bride and black cardstock for the groom. White gel pen stitch marks frame out the card. The white layer is Curious Metallics Cryogen White so it also has a nice shimmer to it when held at the right angle. The sentiment is from SP & Company's Bold Sentiments I stamp set. On the inside, I included the "It's a Shower" sentiment with wedding dress from the My Creative Time All Around Everything and Accessories stamp sets. 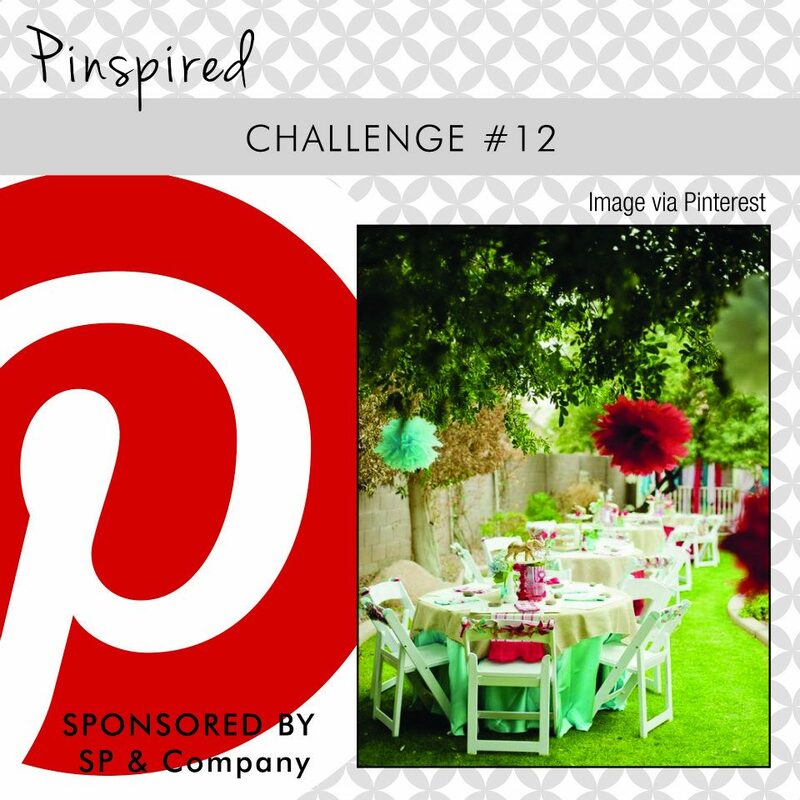 Just as I was working on this blog post, I found a new Pinspired Challenges group. I love Pinterest and thought their idea for challenges was awesome! Plus, the sponsor this week is SP & Company!! So... needless to say, I'm going to enter this card in this week's challenge. The pinspiration this week reminded me of a wedding. And in my opinion, the classic black and white of this card goes with any color combination. I'm definitely going to begin following these challenges on Facebook and by subscribing to their blog. I adore the way you turned the M's into a tuxedo and a dress! So creative and fabulous!